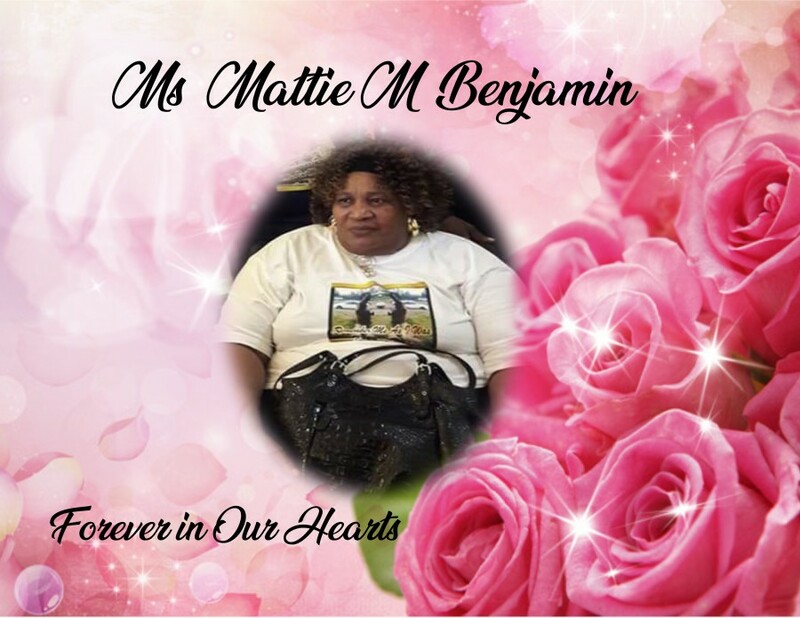 Mattie M. Benjamin, 63, of Selma, Alabama gained her heavenly wings on December 20, 2018 at Jackson Hospital in Montgomery, Alabama. Services are scheduled for Saturday, December 29, 2018 at Gospel Tabernacle at 1:00 p.m. with Pastor John Grayson, officiating. Interment will immediately follow in the Lorenzo Harrison Memorial Garden. Ashley's JH Williams and Sons Funeral home humbly thank the Benjamin family for selecting our firm for the final disposition of their loved one.